Last year, I posted this on the last day of Black History Month as part of the Around the Blogosqueer feature. This year, I thought it’d be nice to start a tradition of just adding to it every year as a BHM staple, keeping the old stuff but continuously providing new content, and posting it in th middle of February. Living history FTW. Sistahs on the Shelf – SotS is run by Rena, a Black lesbian who reviews Black lesbian books. You can also follow on Twitter at @SotS! WoC in Romance – this is a site highlighting all Romance written by WoC, but there’s a page just for LGBTQ Romances. It’s run by Rebekah Weatherspoon, whose name you may recognize as being a prolific author of LGBTQ lit herself! You can follow on Twitter at @WOCInRomance, and make sure you check out their Patreon; link is in the pinned tweet! Black Lesbian Literary Collective – To nab from their site, “The Black Lesbian Literary Collective creates a nurturing and sustainable environment for Black lesbian and queer women of color writers.” Looking for more reviews of Black lesbian fic? Ta da! The site is new, so it’s not packed with posts just yet, but there is already an active radio show linked to it. Find them on Twitter at @LezWriters. 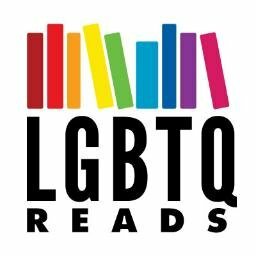 The Brown Bookshelf – this is a site dedicated to Black kidlit; here are the posts that come up if you search LGBT. Where is the Queer Black Male Voice in YA Lit? Have more to share? Add them in the comments! Girl Mans Up by M-E Girard was nominated for a Morris Award and named one of the Best Teen Books of 2016 by Kirkus. If I Was Your Girl by Meredith Russo is the only YA novel named among the Best Books of 2016 by iBooks, among the Best Teen Fiction of 2016 by Chicago Public Library, and among the best YAs of 2016 by Amazon, the B&N Teen Blog, Bustle, Publishers Weekly, Kirkus, and New York Public Library. When the Moon Was Ours by Anna-Marie McLemore was longlisted for the National Book Award and named one of the Best YAs of 2016 by Bustle and Kirkus. The Miseducation of Cameron Post by Emily Danforth’s movie news was announced. Simon Vs. the Homo Sapiens Agenda by Becky Albertalli’s movie news was announced, and it was named one of the 30 Best Young Adult Novels of All Time by Paste. This is Where it Ends by Marieke Nijkamp spent 29 weeks on the New York Times Bestseller list and was named among 19 of the Best YA Books of 2016 by Buzzfeed and one of the best YAs of the year by Paste. Labyrinth Lost by Zoraida Cordova was named one of the Best Books of 2016 by NPR, among the Best Teen Fiction of 2016 by Chicago Public Library, and one of the Best YAs of 2016 by Bustle, Paste, and New York Public Library. Highly Illogical Behavior by John Corey Whaley was named one of the Best Books of 2016 by NPR, among the Best Teen Fiction of 2016 by Chicago Public Library, and one of the Best YAs of 2016 by Bustle, Paste, and SLJ. Georgia Peaches and Other Forbidden Fruit by Jaye Robin Brown was named one of the Best YAs of 2016 by Bustle and Kirkus, among the Best Teen Fiction of 2016 by Chicago Public Library, and one of the Best YA Rom-Coms of the Year by the B&N Teen Blog. Beast by Brie Spangler was named one of the Best YAs of 2016 by the B&N Teen Blog, Kirkus, Bustle, and Publishers Weekly. And I Darken by Kiersten White was named one of the Best YAs of 2016 by the B&N Teen Blog, Bustle, and NPR, and hit the NYT bestseller list. Unbecoming by Jenny Downham was named one of the Best YAs of 2016 by the B&N Teen Blog, Kirkus, and Publishers Weekly. Being Jazz by Jazz Jennings was named one of the Best Books for Teens of 2016 by New York Public Library. Shallow Graves by Kali Wallace was named one one of the Best Books for Teens of 2016 by New York Public Library. We Are the Ants by Shaun David Hutchinson was named one of the Best Books for Teens of 2016 by New York Public Library and one of SLJ‘s Best YAs of 2016. Lies We Tell Ourselves by Robin Talley was named one of the 30 Best Young Adult Novels of All Time by Paste and hit the New York Times bestseller list. Last Seen Leaving by Caleb Roehrig was named among 19 of the Best YA Books of 2016 by Buzzfeed and Kirkus, and the Best YA Novel of the Year by Paste. The Great American Whatever by Tim Federle was named one of SLJ‘s Best YAs of 2016 and among the Best Teen Books of 2016 by Kirkus. As I Descended by Robin Talley was named among the Best Teen Fiction of 2016 by Chicago Public Library and Paste. Radical by E.M. Kokie was named among the Best Teen Fiction of 2016 by Chicago Public Library. Symptoms of Being Human by Jeff Garvin was named among the Best Teen Fiction of 2016 by Chicago Public Library. True Letters From a Fictional Life by Kenneth Logan was named one of the Best Teen Books of 2016 by Kirkus. Bleeding Earth by Kaitlin Ward was named one of the Best Teen Books of 2016 by Kirkus. Without Annette by Jane B. Mason was named among 19 of the Best YA Books of 2016 by Buzzfeed. Aristotle and Dante Discover the Secrets of the Universe by Benjamin Alire Saenz was named one of the 30 Best Young Adult Novels of All Time by Paste. Ash by Malinda Lo was named one of the 30 Best Young Adult Novels of All Time by Paste. Adam Silvera’s New York Times bestselling More Happy Than Not was named one of the 30 Best Young Adult Novels of All Time by Paste. The Abyss Surrounds Us by Emily Skrutskie was named one of the Best YAs of 2016 by Paste. Timekeeper by Tara Sim was named one of the Best YAs of 2016 by Paste. Fast Connection by Santino Hassell and Megan Erickson was named one of the Best Romance Novels of 2016 by The Washington Post. Luchador by Erin Finnegan was named one of the Best Romances of 2016 by Publishers Weekly. 24/7 by J.A. Rock was named among the Best Fiction of 2016 by Kirkus. Idlewild by Jude Sierra was named among the Best Fiction of 2016 by Kirkus. Strong Signal by Santino Hassell and Megan Erickson was named among 17 of the Best Romance Novels of 2016 by Bustle. Imagine Me Gone by Adam Haslett was longlisted for the National Book Award, a finalist for the Kirkus Prize, named one of the Best Books of 2016 by NPR and Popsugar, one of the 24 Best Fiction Books of 2016 by Buzzfeed, and one of the 18 Best Fiction Books of 2016 by The Huffington Post. What Belongs to You by Garth Greenwell was longlisted for the National Book Award, named one of the Best Books of 2016 by NPR and Publishers Weekly, one of the 24 Best Fiction Books of 2016 by Buzzfeed, one of the 25 Best Books to Read in 2016 by Esquire, and one of the 10 Best Books of 2016 by Vulture. Here Comes the Sun by Nicole Dennis-Benn was named among the Best Fiction of 2016 by Kirkus and one of the 24 Best Fiction Books of 2016 by Buzzfeed. Every Heart a Doorway by Seanan Mcguire was named among the Best Genre Fiction (SF/Fantasy) of 2016 by Library Journal. The Long Way to a Small, Angry Planet by Becky Chambers was named among the Best Genre Fiction (SF/Fantasy) of 2016 by Library Journal.